Joel D. Levinson photographed Tupac Shakur in 1993, creating portraits that showed the human side of an icon. Two-decades later, Levinson is making these 'hidden' portraits public along with Original Artwork, launching a new book and website in a project entitled "TUPAC Unseen." 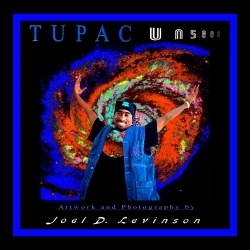 Los Angeles, CA, February 11, 2015 --(PR.com)-- Upon meeting Tupac Shakur, Joel D. Levinson was greeted with unguarded enthusiasm and an open invitation to photograph him on an unrestricted basis. It was 1993, and the trust forged between Shakur and Levinson resulted in the creation of thirty-six bold and spellbinding portraits that show a human and compassionate side of the star that was rarely made public. Only a half dozen of these images were previously released for publication. TUPAC Unseen, is comprised of thirty-six portraits photographs Levinson made in 1993 and thirty-six original Artworks (one of each portrait, completed in 2014) each one an individual homage, for a total of seventy-two original works. It is a remarkable collection of work and quite simply the collection of Tupac photographs that illuminates his serious, meditative and friendly personality, with depth. "I was so struck by Tupac's natural warmth that I become obsessed with researching not only his work, but its cultural impact," explains Levinson, who has had thirteen One Man Museum exhibitions of his work, is represented in forty-two Museum Collections in North America and Europe and in the past five years has seen over three hundred of his photographs placed in twelve Museum Collections. 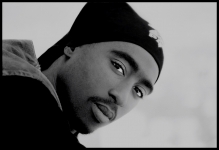 "I found my interest in Tupac's work develop deeper and deeper with each month of research, and greater familiarity with his music and developed an affinity for this man and his work. What began as a six month, purely photographic project to publish portraits (the vast majority previously unseen and unpublished) to illuminate sides of this man I had not seen offered in any other photographs or images, initially developed into something that encompassed much more. Eventually, it extended into an eighteen month project, which further extended to four years and finally after seven years, it is being released ahead of the Art Book/Exhibition Catlog in an eBook. "My goal was to display a side of Tupac that was rarely seen in other photographs and artwork created during his lifetime. 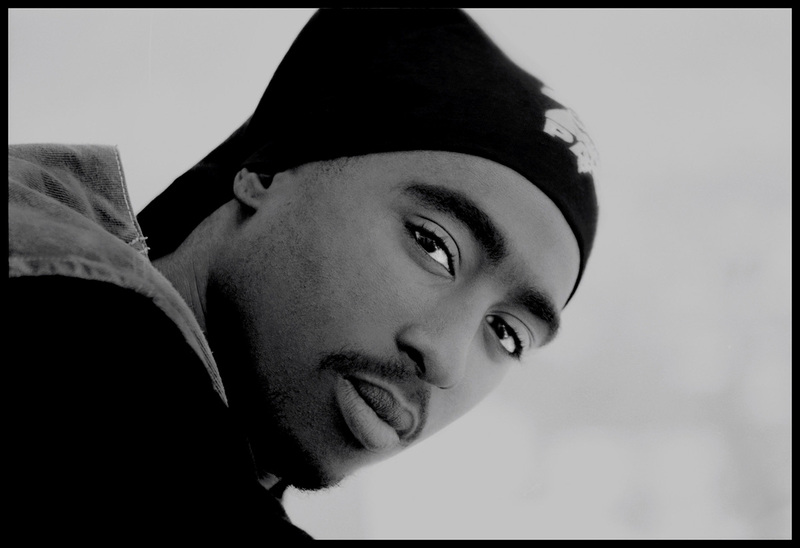 Seven years later, we're releasing something that I believe is going to expand the perception of Tupac." 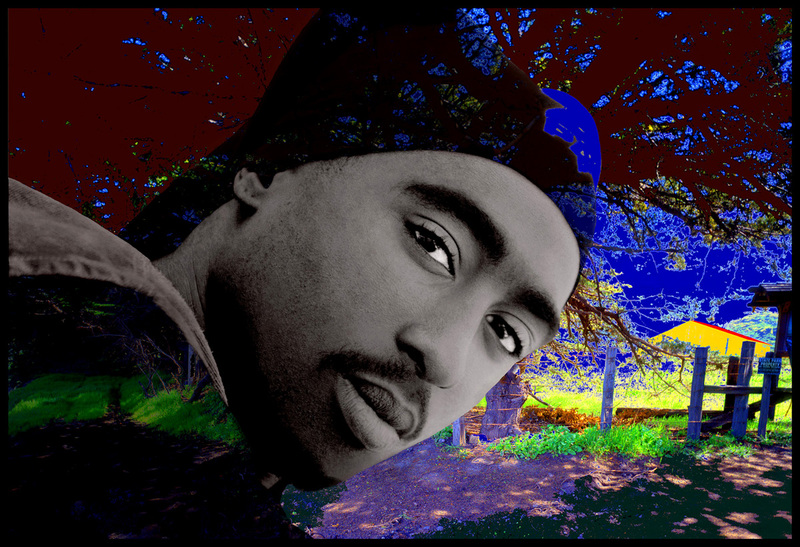 Aside from the book, Levinson is also continuing the TUPAC Unseen project via a new website. 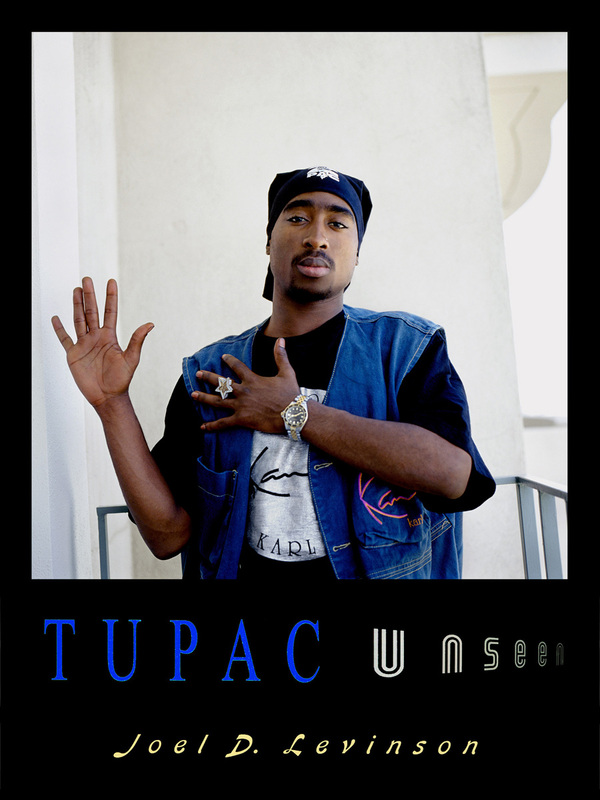 TupacUnseen.com site was launched to coincide with the eBooks official release. They initially plan to use it as a virtual companion to the eBook and expand by offering two exclusive downloadable mini posters that will be added on a regular basis along with other content. The site exists as an expanding memorial to an immortal entertainment and cultural legend. TUPAC Unseen' eBook Edition 2 with higher resolution and brighter images, optimized for eBook viewings available now on Amazon, iTunes, Kobo, Barnes & Nobles and Smashwords. About the Author: Joel D. Levinson was born and raised in Connecticut where he attended Andrew Warde High School (Fairfield) and later received a BA in Communications and an MA in Visual Arts from the University of California, Berkeley, where he was awarded the The Eisner Prize for outstanding achievement in Photography. Levinson is an Art Photographer who has had thirteen One Man Museum exhibitions of his work, is represented in forty-two Museum Collections in North America and Europe. In the past five years there has been over three hundred of his photographs placed in twelve Museum Collections. As a photographer and designer Levinson worked for many major Hollywood Movie Studios, independent film labels as well as major and independent Record Companies.